"Saw 3D" is here at last. After six years of grumbling and complaining about each instalment in the series, it's finally over. Of course, there is every possibility that this might not really be the end but it damn well should be after all the publicity confirming it. I've never really liked the "Saw" movies and have actually refused to review parts III to V ever because I just couldn't get into them and they bored me rigid. Last year's "Saw VI" was a lot better and, fool that I am, I was really hoping for more of the same from "Saw 3D". I haven't seen that many 3D movies in my life so, even though I know that it's just a superfluous gimmick most of the time, I was also hoping to see something amazing featuring this new technology too. The bottom line is that I went into "Saw 3D" with as much of an open mind as possible and was fully prepared to be entertained. 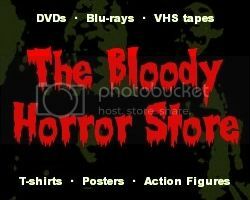 The 3D thing is what I'm sure will divide most people whether horror fans or not. While it's technically good in "Saw 3D", it doesn't really add much to the film at all but at least it doesn't hinder things in a forced "look at me, I'm a clever piece of 3D" kind of way except with some of the more explosive traps. Love it or hate it, it's there and there's nothing you can do about it. There's a lot more going on in "Saw 3D" anyway. I didn't count them but it seems that there are more traps used in "Saw 3D" than ever before and they are all as particularly brutal as the ones used previously. Possibly one of the problems is that I've got so used to these traps over the years that all I want to see is their victim's fail to get out of them and get horribly mutilated. If that's all you really want to see too when you go into a "Saw" movie then you can consider your wish granted. The gore is most certainly here even if the traps are a little bit dull and unimaginative. Maybe it's just me but, at times, the effects looked a bit too obviously fake. Short of actually killing somebody for real in one of these films, that's only to be expected. The plot itself is the film's biggest weakness. Everything feels very uneven throughout and it just screams of being rushed at the end. Some people love the chaotic editing but I find it very unsatisfying and I've felt that way about every "Saw" sequel anyway. Although "Saw 3D" tries to wrap up as many loose ends as possible, there are still some massive questions left unanswered. Yes, we do finally see what happened to Dr Gordon (Cary Elwes) as was publicised back in April this year but he doesn't get that much time on screen. Tobin Bell has even less time but, since John Kramer died four films ago, it's Costas Mandylor who is now the real star of the show anyway. If you are a big Hoffman fan then you will most certainly not be disappointed. He's even more menacing and badass than in "Saw VI". In fact, Hoffman was the only character I felt any sympathy for and I was on his side all the way through. In some ways, he's become like a thinking man's Freddy Krueger but without any of the humour or iconic appeal. The acting is, for the most part, average. Some of the performances are a bit weak and inconsistent but I think everyone did the best they could. Sean Patrick Flannery should stick to "The Boondock Saints" but was acceptable as Bobby Dagen even though I didn't care about him one way or another. Some pretty weak dialogue is obviously the fault of the script rather than the delivery of the lines although there are at least two actors in this who stand out in a very bad way. Overall, I was disappointed. I didn't expect "Saw 3D" to be the best horror film ever made especially since it's the seventh film in the series but I was expecting it to really go out with a much bigger bang. If you want to be overly cynical, you could just put it all down to bad writing in the first place since everyone knew it was a mistake to kill Jigsaw off in "Saw III" and nobody has known what to do about it ever since. Well, that's my review of "Saw 3D" and I've tried to keep it as spoiler free as possible. No matter what I write though, this is the only horror film worth watching theatrically for Hallowe'en and those who have made it an annual pilgrimage for the last 7 years are still going to see it anyway. More discerning horror fans will probably wait for the DVD.